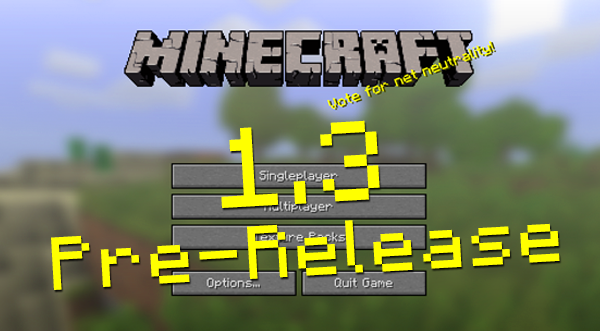 Hello there, This is just a very quick post from me to give you all the links and info you should know about Minecraft 1.3 Pre-Release. It’s finally time for Minecraft 1.3! As the norm is these days, we prepare the community and server providers with a prerelease. The official release date is August 1, so that’s when everybody will get the update in the launcher. Please note that the minecraft.jar doesn’t need to be extracted or unpacked in any way, you simply replace the minecraft.jar file that is located in the “.minecraft/bin” folder. Mojang are running a competition to get your Minecraft 1.3 commercial featured on thie YouTube channel. Check out the video contest we are doing and create your own Minecraft 1.3 commercial. Yours could be featured on the Mojang YouTube channel! Can’t wait to see the amazingness you create! Also Jeb has been getting a bit bored waiting for the final release and has been working to add some of the features mentioned in this video. I will be honest… I don’t understand all of this but from what I do understand it looks freaking cool. I guess it could be used a lot in adventure maps to give out certain items? Who knows. I’m sure some people will do some amazing things with it in the future. For now though I think that is it.. See you soon. We found one serious bug yesterday and also did two game-play changes, so we need to do another snapshot before we can pre-release 1.3. Please note that the snapshot jar doesn’t need to be extracted or unpacked in any way, you simply replace the minecraft.jar file that is located in the “.minecraft/bin” folder. UPDATE: Updated snapshot to 12w30e because cocoa plants were not placeable on sideways jungle logs, and the survival inventory in creative mode was completely messed up. Final polishing before the pre-release! Or you can check out our Dropper Series. We’re getting really close to the 1.3 release now, and need to check that everything runs as expected. 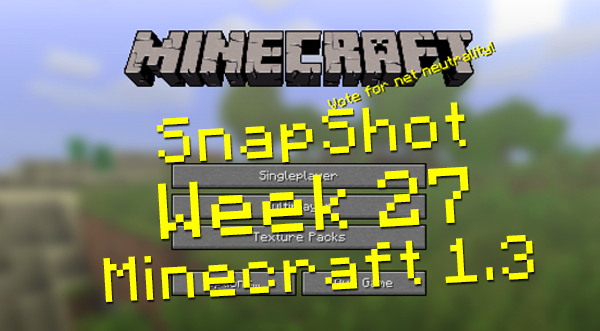 The plan is to release one or two snapshots, and then the 1.3 pre-release by Wednesday or Thursday. The pre-release is intended to be identical to the official release next week, in order to give modmakers and server admins a week’s head start. That’s why we need to do a snapshot first, since we can’t do changes to the update after the pre-release is out. UPDATE: There was a bug that prevented people from interacting with blocks (right-clicking) which has been fixed. We also fixed a null pointer exception. The links above have been updated to point to the new version (12w30b). 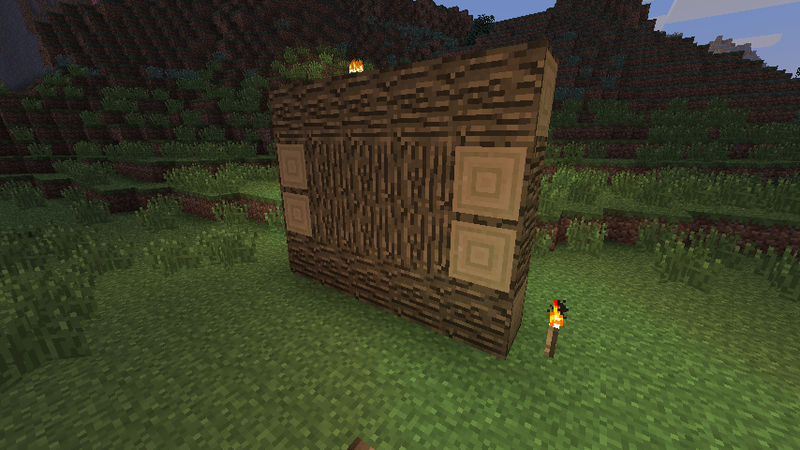 Read the original Minecraft Snapshot 12w30b post on the Mojang Blog. Please check your piston contraptions. Most we’ve tested still work fine, but some require changes to repeater delays and similar. Overall, pistons should have fewer bugs, but will appear to update slightly slower. This is a mirror post to my Minecraft Week 27 12w27a post on Gamer Euphoria.. Read this and more about Minecraft 1.3 there.